As Peter Gulutzan just announced – we’re opening up a “new” worklog that we’ve been working on, Worklog #2360. PERFORMANCE_SCHEMA. In fact – it’s not “new”, it’s something that has been in the worklog system for a long time, and has had much much much discussion internally between some of the brightest engineers in the group. I don’t wish to steal Peter’s thunder (he’s worked enormously hard with this project), but I’m going to take this opportunity to post a couple of snippets that I took away from the first benchmark, and let Peter explain them, and the other tables, in his coming posts. The times that are being recorded above are actually CPU cycles, if you know the power of your CPUs you could convert those to microseconds fairly easily – or you can tell the PERFORMANCE_SCHEMA to record in other formats too. Next, let’s take a look at what the thread that was inserting the 1 billion rows had been doing. Yes folks, this takes SHOW PROFILES and SHOW ENGINE INNODB MUTEX to a whole different level (it will pretty much make them defunct, imho, if we can get InnoDB using this instrumentation). There is so much more to this worklog, there’s a number more tables, there’s a lot more information, and a lot more ways to look at it. 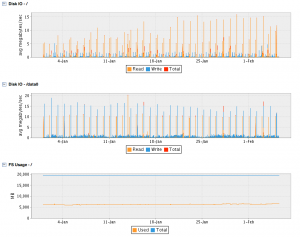 The future of monitoring MySQL just got much brighter. Stay tuned! I’m sure Peter is itching to spread more information! A little late to post (I’ve known a while), but I thought I’d plug my talk for any interested readers out there, that are going to the conference, and use MEM! 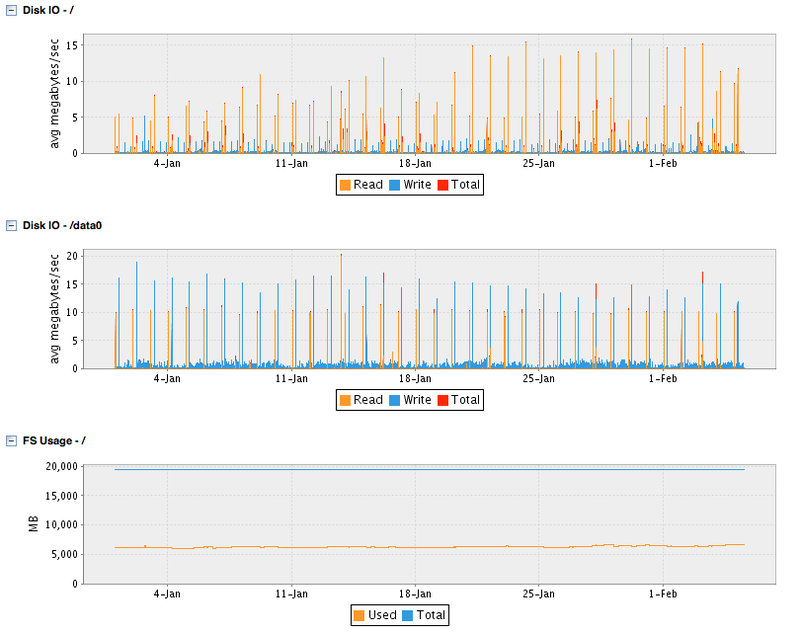 I’m talking about Extending MySQL Enterprise Monitor with Custom Advisors, Graphs and Data Collections. I’ve had the pleasure of working with the team that writes the MEM software (the “Enterprise Tools” team, internally and lovingly known as the “Merlin Team“, the codename that has survived various renames of the product!) for a little over 3 years now. I can’t say I was there at it’s conception, but I started working with them before the initial release of the product, and have watched (and I like to think helped shape) the product very closely whilst being the “Support Coordinator” for the Support Team for MEM. It’s a great product already, but we have many ideas, it’s going to be an awesome product of the future. Along the way I’ve helped to write many of the graphs and rules that are released for the MySQL Enterprise Monitor within the default Advisor bundles (along with Andy Bang, one of the original team with the concept) and hope to give MEM users some insights in to how they can extend MEM to suit their own needs. So I saw the tokutek challenge, and wondered to myself how Maria would get along with it. I watched it closely, for about a day, then got bored and forgot about it. I remembered today that I should take a look! So I saw the tokutek challenge, and wondered to myself how Maria would get along with it. I duly downloaded a 6.0 tree, and the iiBench code, tinkered with it to make it actually build, and fired things up. I watched it closely, for about aÂ day, then got bored and forgot about it. I remembered today that I should take a look! You can see, in just over a day the IO load became too heavy to process efficiently. The tables were defined as ENGINE = Maria – i.e TRANSACTIONAL = 1 (with crash recovery) by default. I’ll be making a couple more for Maria as well – including the easy read and write physcial/logical requests from SHOW GLOBAL STATUS (to be released with MEM once Maria is ready, let me know if you want the custom graphs before hand). Maria does not make use of bulk_insert_buffer_size, unfortunately, when TRANSACTIONAL = 1. It does when TRANSACTIONAL = 0 however. It also doesn’t use something like InnoDB’s Insert Buffer, so it’s clear that there is probably some way to go when it comes to bulk inserts within Maria for the TRANSACTIONAL mode. Maria does support concurrent inserts with TRANSACTIONAL = 1, however this is disabled when the table has an AUTO_INCREMENT, (or FULLTEXT/GIS indexes) – so that makes this benchmark difficult from that respect too. The IO overhead for the log files (on cciss/c0d0 above) was not huge, so it will be interesting to see how this affects things (I’ll report back). This should show how just the new page cache works out as well. There’s only 4 CPUs on the system, so this will certainly max those out – but I’d like to see the performance differences with filling the cache as well, with concurrent INSERT still disabled. This would really show how quickly concurrent inserts could start filling the cache concurrently. Sadly I think once the cache is full we will continue to see issues at least for now though.